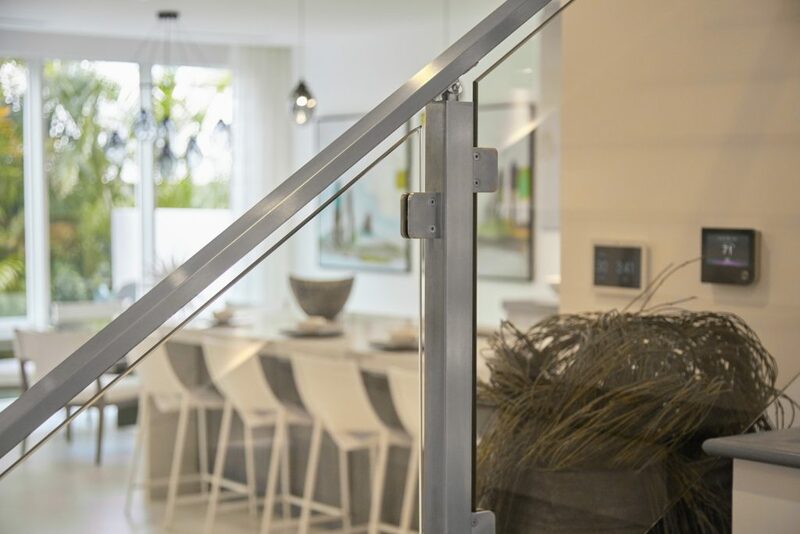 The metal glass railing posts are similar to Viewrail’s other rod railing and cable railing posts, but are simply created to work with glass clips rather than rod and cable infill. You should use two glass railing posts for every 4’ panel of glass. Each post is pre-drilled to accommodate glass clips, but the clips are shipped unattached to their posts. These glass clips (as well as the posts) are made of 2205 duplex stainless steel, a marine-grade steel used on deep sea oil rigs. The glass clips grip the glass panels from both sides and hold them in place by using rubber inside the clip. There is also a bolt at the opening of the glass clip. If you choose pre-drilled glass, this bolt will be used to keep the glass panel in place. 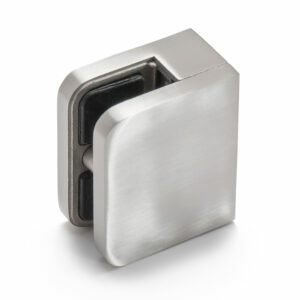 Using this bolt will add security and strength to your glass railing. However, you can choose to forego using the bolt and use non pre-drilled glass with these glass clips as well. There are many different types of glass railing posts which are used for different applications; you have surface mount for flat surfaces, side mount (slim side mount, bump out side mount, and normal side mount) used when attaching to the fascia of a project, special application posts, angled foot posts used to install on non-flat surfaces, shorter posts with no handrail bracket used for barrier glass, core-drilled posts for when you install into cement or tricky surfaces, and even more. In addition, most posts come with the customizable option of choosing a flat top or universal top handrail bracket. This handrail bracket will dictate whether your handrail sits flush against the top of the post, or whether it is elevated above it. 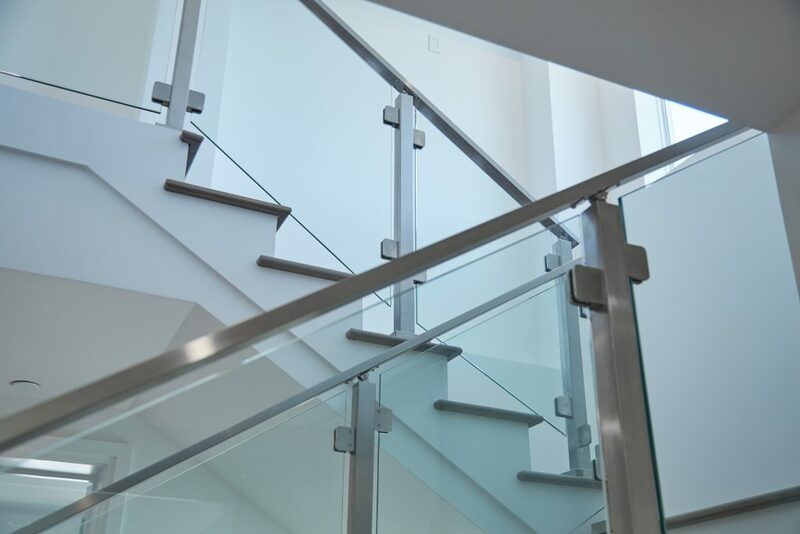 Handrail is optional in some glass applications—a metal glass cap can be used instead, or in the case of barrier glass, the glass can act as the guardrail itself. Metal glass railing posts are highly customizable and versatile. They also most closely resemble other standard railing options, while still keeping the look of your project sleek. Check out the Completed Projects page to see glass used on other customers’ projects. Or fill out a design help form to start the expert customization of your project.